The Phillies have a comfortable 7.5 game lead with 17 games left to play in the regular season. The magic number to win the National League Eastern Division has dropped to 10. Besides the obvious need to finish business to reduce that magic number to zero, the manner in which the team accomplishes that is critically important to their ongoing success. First and foremost, the Phillies themselves demonstrated how a similar scenario of a 7-game lead with 17 to go is not reason to relax. Two years ago, that situation played out with the Phillies passing the Mets to win the division. 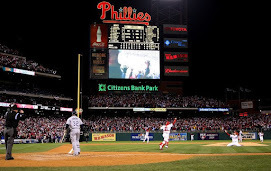 The current Phillies team chemistry and collective "heart" is vastly different than that Mets team, but those events in 2007 serve to raise an important caution flag to keep on grinding. This is especially true considering that the Phillies now head on the road to face their two division rivals, who will both be teaming with adrenaline and a sense of urgency to make a last ditch effort to close the gap. And, a few head-to-head wins against the Phillies would suddenly take the comfort out of the lead. A good scenario would be for the Phillies to win at least one game in Atlanta and two games in Florida. Two and two would put them no worse than 7.5 games up as they head to Milwaukee for a four game set, and reduce the magic number to 5 or less. With the schedule ending at home with their recent nemesis Houston Astros and the Marlins, there really is no breathing room just yet. All of that aside, the team does not want to be in the position of playing pressure packed games to the finish. Surely, the Phillies would like to not overwork their starting staff and allow players such as Shane Victorino and Raul Ibanez to rest their hobbled legs. Most importantly, though, the team does not want to tax the already aching arms, bodies and psyches of the bullpen. The ideal scenario would be to minimize the burden on Ryan Madson, Brett Myers, JC Romero, Scott Eyre, Chad Durbin and Clay Condrey as all are fighting injuries or soreness. Chan Ho Park simply needs to get healthy and prepare to be ready if the team does make the post season, but a late season, non-pressurized cameo appearance to tune up would be great. Lastly, a comfortable finish would allow Charlie Manuel to put Brad Lidge, Madson and possibly Myers in better positions to succeed and build confidence heading into the post season, where they will need to close out tight games as they did a year ago. The next two series will not determine the final outcome of the NL East, but they surely are important. 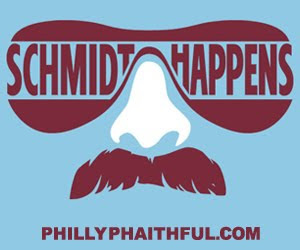 The Phillies have the talent to win the division, advance through the playoffs and win another a championship, but the competition will be stiff. These games now can go a long way towards setting themselves up for another magical run.